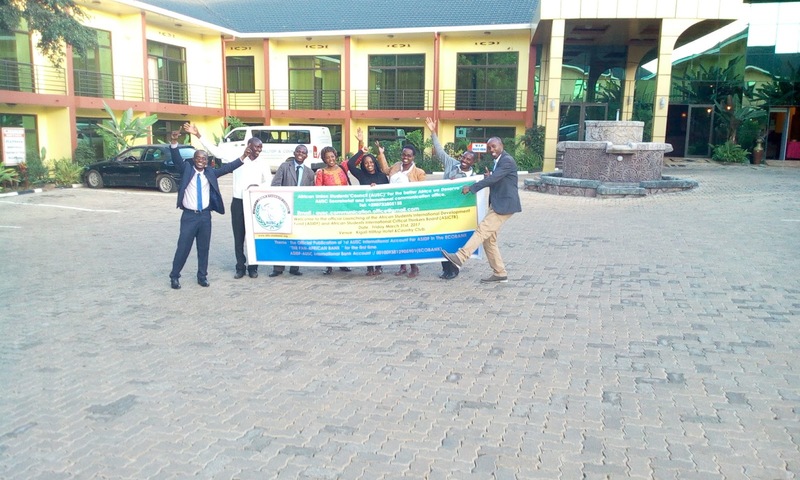 Mr IRAGUHA BANDORA Yves The African Union Students' Council President Launching the African Students' International Development Fund (ASIDF) and African Students' International Critical Thinkers Board (ASICTB) at Kigali Hilltop Hotel & Country Club on Friday March 31st, 2017. Follow the Speech of Mr IRAGUHA BANDORA Yves The African Union Students' Council President Launching the African Students' International Development Fund (ASIDF) and African Students' International Critical Thinkers Board (ASICTB) at Kigali Hilltop Hotel & Country Club on Friday March 31st, 2017. 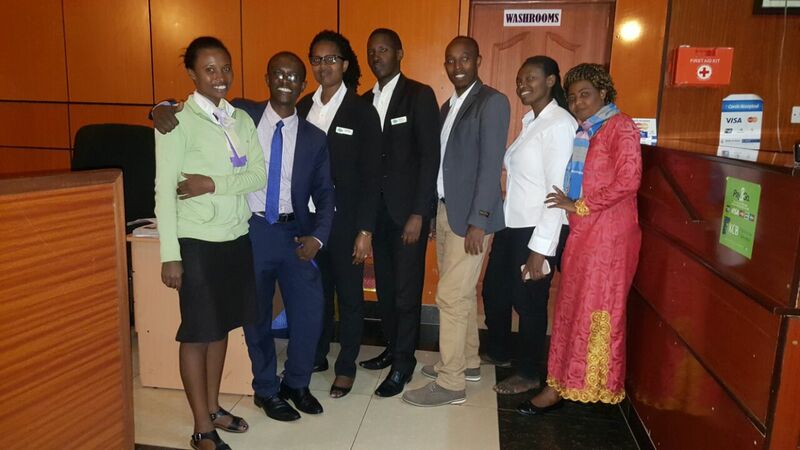 AUSC President's Office Leaders at Kigali Hilltop Hotel after the official Launching of the African Students' International Development Fund (ASIDF) and The African Students' International Critical Thinkers Board (ASICTB) on Friday March 31st, 2017. 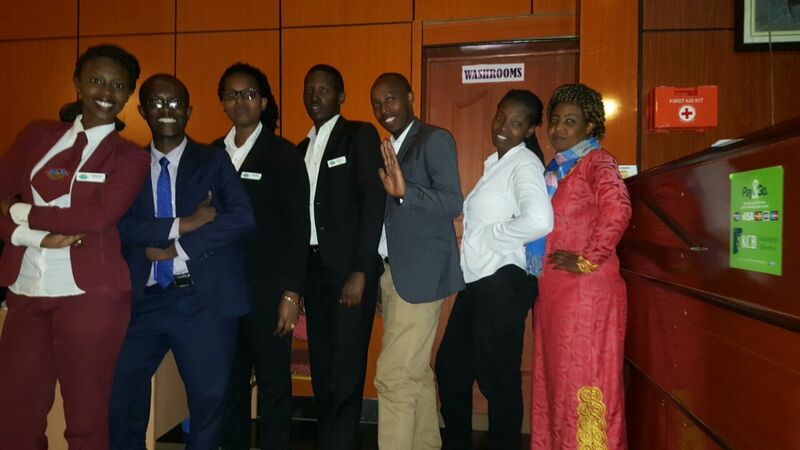 AUSC President's Office Leaders at Kigali Hilltop Hotel during celebrations of the official Launching of the African Students' International Development Fund (ASIDF) and The African Students' International Critical Thinkers Board (ASICTB) on Friday March 31st, 2017. During the AUSC President's Speech delivered to the AUSC President's Office Leaders at Kigali Hilltop Hotel after the official Launching of the African Students' International Development Fund (ASIDF) and The African Students' International Critical Thinkers Board (ASICTB) on Friday March 31st, 2017. Subject: Announcing the Official Closure of AUSC free Membership. 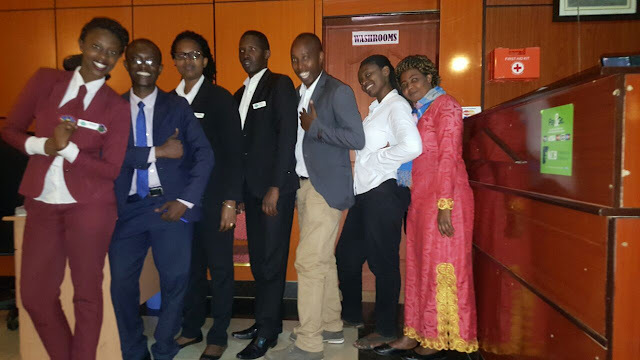 The office of the AUSC President in Kigali -Rwanda which served AUSC since January 1st, 2016 has appointed all the current AUSC Leaders who are the only Official Members of AUSC admitted with a totally free membership inside AUSC and worked as volunteers for any appointed position inside AUSC from Presidential Level to Clubs level following the AUSC International Action Plan 2016-2019 and currently announcing the Official closure of the AUSC Free Memberships from the Presidential level to the club level with introduced African Students ' International Development Fund (ASIDF)" For The Self-reliant Africa We Deserve " . 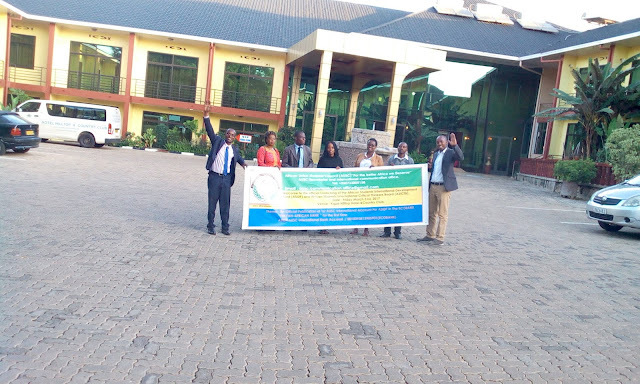 In fact AUSC President's Office has officially Launched the Fund aimed to sustain the African Union Students ' Council (AUSC) International Action Plan Activities For The Better Africa We Deserve as young people as deserving our next Generations on this continent of Africa and Worldwide. The Launched Fund is named African Students' International Development Fund (ASIDF) and to enter this fund allows any individual to automatically becoming Official member of the African Union Students ' Council (AUSC) "For The Better Africa We Deserve ". Basing on the AUSC International Communication Office recorded databases, AUSC President's Office has decided to enumerate Official AUSC Members who were given free membership inside AUSC from January 1st, 2016 in order to give them matriculation numbers and consider their willingness to join the new AUSC Membership which is going to be only based on the completed payment of the basic contribution on the ASIDF International Bank Account Opened in The ECOBANK -RWANDA to keep their current AUSC free membership updated or totally loose it completely. Basic contribution per year per individual year is 120USD that can be paid before April 30th, 2017. For the already appointed AUSC Representatives on National Level will be able to collect this basic contribution from their current mobilized Zonal, Districts, Clubs Representatives in order to maintain their AUSC National Chapter appointment and failure to use fundraising efforts to any Appointed AUSC National Office will lead to the re advertisement of their Chapter to be headed by New ASIDF Members in that Country. For all Appointed AUSC International committee Leaders, the ASIDF Membership is a personal engagement and whoever fails to contribute to the ASIDF will lose as well the Appointed Position inside AUSC and remain with the granted AUSC Free Membership only to allow the AUSC President's Office to advertise the position to the new ASIDF Members only. AUSC International Committee is composed of the AUSC Presidential Team, AUSC Regional Representatives Team, AUSC Different Affairs Representatives Team, and AUSC African Diaspora Representatives Team. 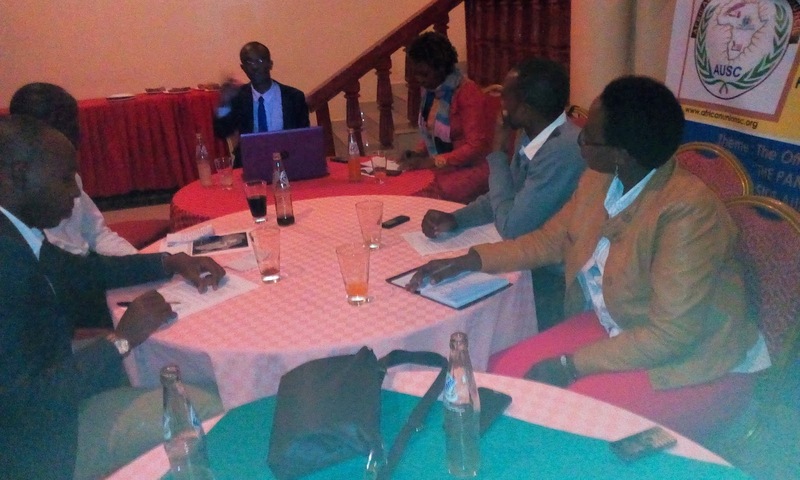 Therefore, in respect to the AUSC International Action Plan 2016-2016 the AUSC President's Office leaders met on Friday March 31st, 2017 everyone confirmed own basic contribution to the ASIDF and fundraising 2 million Rwandan Francs with 1USD=830 Rwandan Francs to fund-raise the initial fund to open the 1st Bank Account inside the ECOBANK "The Pan African Bank" Named "African Union Students ' Council (AUSC)" and finally allowing the AUSC President's Office to proceed with opening two different Sub Accounts connected to the Main Account and those sub accounts are the 1st named African Students' International Development Fund (ASIDF) and the 2nd Named African Students' International Critical Thinkers Board (ASICTB) which will be used in all possible transactions reserved for AUSC Congresses, Conferences, Workshops, Training, Donations for different Academic and Leadership Purposes. While ASIDF Account will be reserved for transactions reserved for opening different businesses to generate money that will keep increasing the ASIDF capacity to finally becoming capable of initiating the 1st Ever existed Young People Pan African Bank named African Students' International Development Bank (ASIDB) "For The Sustainable Developed Africa We Deserve " not later than December 31st, 2017. The 1st category of ASIDF allows you to become member of International Board of the ASIDF and will be able to get benefits based on your contributions in two years. Basic contribution is 120USD to be completed in one year only. 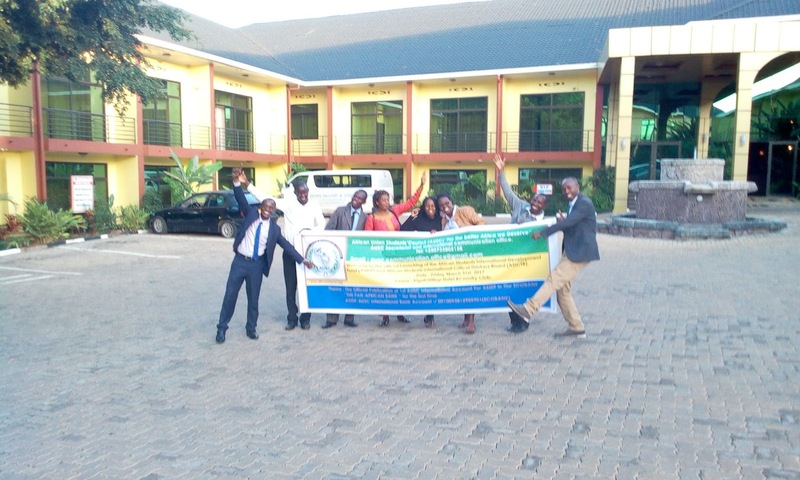 The 2nd category allows you to become member of International Board of the ASIDF and African Students International Development Bank (ASIDB) benefits continue in 3 years. Basic contribution is 240USD to be completed in one year only. The 3rd category of ASIDF allows you to become member of the International Board of ASIDF, ASIDB and International African Students' Education Loan Board (IASELB). Basic contribution is 480USD to be completed in One year only. This is called Business class. Therefore, if there will be Any new person asking how to join AUSC as member besides being appointed for any AUSC Leadership position inside AUSC, through the ASIDF categories is the only possible way non AUSC Leaders from March 31st, 2017 will be able to join AUSC, whoever will be added to any list as AUSC as AUSC Leader or AUSC non Leader Members will be considered only after joining at least one of the ASIDF Categories from the 1st category of the ASIDF to the 3rd category of the ASIDF. Therefore this is given to all AUSC Leaders as warning and instruction regarding any AUSC appointed Leader officially by the AUSC President's Office from Kigali-Rwanda East African Region that the only allowed AUSC Leaders to offer any Appointment permitting any individual person to become officially an AUSC Member must be made by AUSC Regional Representative, Diaspora Representative and AUSC National Representative. While All Officially Appointed AUSC National Representatives are going soon to be redirected all their duties from AUSC National Representatives to the AUSC National Chapters Coordinators basing on their Commitments in completing the initial contribution for any Country joining AUSC must complete the ASIDF International Board Membership contribution with submitting the basic Contribution of 120USD not later than April 30th, 2017 fund raised from committed AUSC Leaders and AUSC Clubs Members of their Countries . The new AUSC Leaders appointment done for free in any country where AUSC President has appointed AUSC Regional, Diaspora and National Representatives are no longer accepted inside AUSC since the Official Launching of the ASIDF on Friday 31st March, 2017 . Therefore all AUSC Memberships from National and African Diaspora Level will be obtained through completing basic contribution to the ASIDF National or African Diaspora membership. 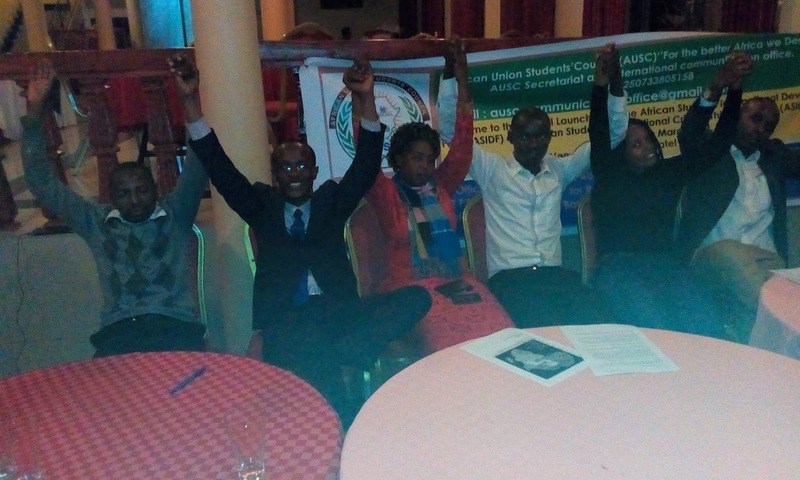 Thus allowing new ASIDF Members admitted from current AUSC Offices to become automatically AUSC members to the AUSC International Level and all AUSC International Members will be given matriculation to identify them from Feke and falsified AUSC Memberships in upcoming years. Therefore, there is no more possibilities reserved to allow any AUSC Appointed Leader by the Office of the President of AUSC in Kigali -Rwanda -East Africa to appoint any new member inside AUSC without presenting a written report of that person's completely paid contribution to the ASIDF Account (Bank slip) in that Country in Africa or African Diaspora. Finally, AUSC free membership became a closed system from March 31st, 2017 in order to promote ASIDF. Thus, AUSC President's Office has limited all new appointments for only opening ASIDF memberships to be followed by automatic AUSC Membership.